The Via Verde App will be an alternative channel to Via Verde’s customers to access and manage their accounting and billing data. 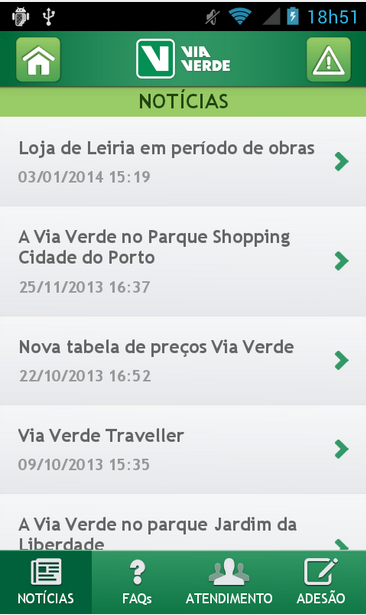 It will also be possible to access to useful information about Via Verde’s stores and partners. This mobile app was developed by Xpand IT and is now available, for free, on the AppStore and Google Play mobile markets. Xpand IT, a leader in enterprise mobile applications services and global company specialised in Enterprise Mobility, Business Intelligence, Big Data and Middleware, announced the official launch of Via Verde mobile apps for iOS and Android. The application will work as an alternative communication channel to the Via Verde stores and partners, following the home banking style and work as an operational app to properly access and manage accounts and to improve a great customer experience. View and update contact details, transactions, alerts, parks and fuel stations localisation are some of the features available. This free mobile application is available on the AppStore and Google Play. 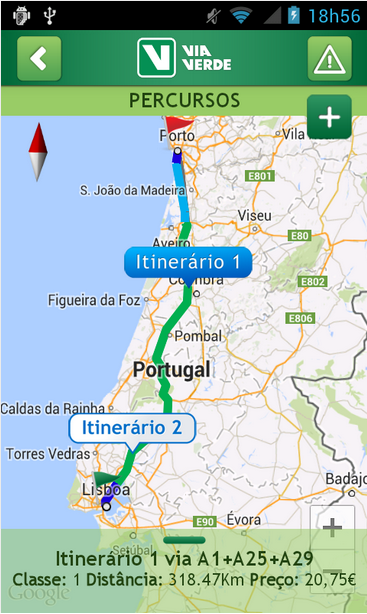 The Via Verde application, among the key features mentioned, offers a route and toll calculator which includes search options such as “by distance” or “by toll cost”. 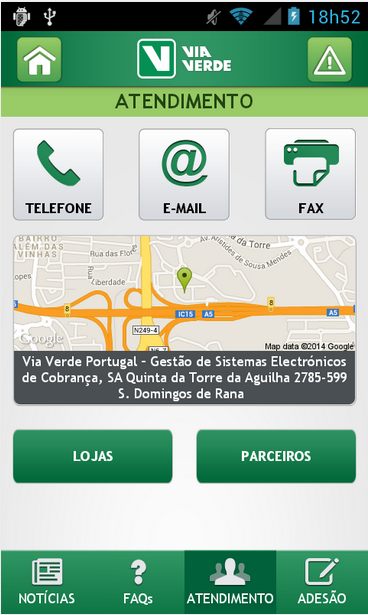 To access this App’s exclusive content, all customers require a previous registration in the Via Verde online area. In fact, this is a very effective channel to engage and interact with customers, allowing them to perform the main operations and making their life easier. Through the important collaboration with Xpand IT, over 3 million Via Verde customers already have a new option to make operations that until now were possible only on the website or in the Via Verde stores network. Luís Vasconcelos Pinheiro – Managing Director (CEO), Via Verde Portugal. For Pedro Gonçalves, Partner & Chief Technology Officer, Xpand IT: “More than a technical challenge, the project development allow us to increase our position as leading company in Enterprise Mobile Applications Services. This project was only possible through an excellence team with several years of experience in Mobility projects entirely oriented to create business value”. With several years of experience in Enterprise Mobility area, Xpand IT is a leading developer of mobile applications developer in Portugal. Currently, with more than 110 applications in the App Store and Google Play, we already developed many success cases for internationally customer references.